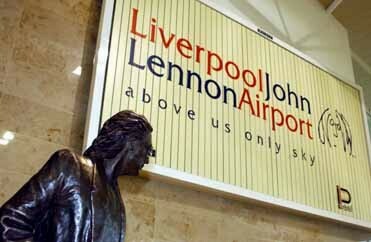 Poking around the airport’s website this weekend, I discovered that it’s really easy to get to JLA from Amsterdam and that the Liverpool airport has a John Lennon statue, a yellow submarine, and lots of Lennon, Beatles, and other art that I hope to be able to see – and report back on – in person. In the meantime, I was delighted to find a downloadable Fossil Mystery Tour brochure on the John Lennon Airport website. Many of the limestone slabs used to build the terminal contain fossils and, with the brochure in hand, you’ll be able to walk around the terminal and see Ammonites, Belemnites and Trace Fossils.